"Total control security mission is to provide peace of mind to its customers by providing reliable electronic security solutions for their homes and businesses." Total Control Security is an Alberta based company with offices in Drumheller, Red Deer and Edmonton. Established in 2001, Total Control Security Drumheller (1121113 AB Ltd.) is owned and operated by Kyle Suntjens. 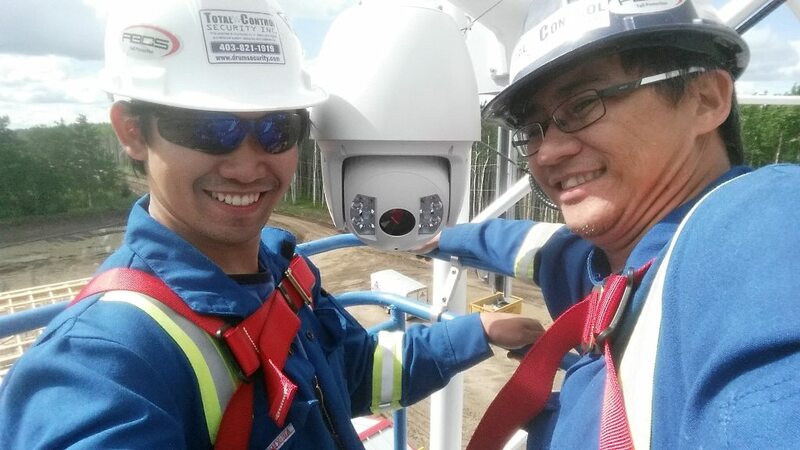 Kyle and his technicians are dedicated to the design, service and installation of digital surveillance and alarm systems in and around the Drumheller Valley. Our team of technicians each bring unique qualifications to our team. Kyle Suntjens has grown up in the Drumheller Valley. He and his wife, Kim, love living here while raising their four children. Kyle is an Industrial Electrician by trade, and wanted to provide a service that made for a safer community while also enabling him to pursue his love of technology and automation. Founded on the principles of safety, reliability, honesty and ethics and we pursue those values in the best interest of our customers. Kyle lives, works and volunteers in Drumheller and as such reputation is important. We are committed to your 100% satisfaction! Erich Mauricio has joined our team after recently moving to Drumheller from the Philippines. Erich has a B.Sc. in Electronics and Communication Engineering, as well as his Master's degree in Engineering Management. His extensive background in customer service is an asset. He looks forward to creating security solutions that will be utilized as part of your company's management tools. Manny de Lara has a background in computer system set up, maintenance and trouble shooting. He has a B.Sc. in Computer Engineering from the AMA Computer University in the Philippines as well as Cisco and Microsoft Certifications.